Ports in the Baltic region are building up an effective trading route, the Polar Silk Road, to China with some Nordic shippers touting it as a “win-win” situation. While the hyperbole may mask some of the infrastructure issues that still need to be sorted out, the Baltic ports see business opportunities inherent in the Polar Silk Road to increase their tonnage volume resulting from rising trade with China. Norway’s port town of Kirkenes which is striving to become a hub on the Polar Silk Road linking China, illustrates the point. Finland and Norway are toying with constructing the ambitious Arctic railway linking the North Finnish town of Rovaniemi with Norway’s Kirkenes port close to the Russian borders. The railway line project, estimated to cost about US$ 3.6 billion and expected to be completed in 2030, would be the first railway line involving a European Union member state with an Arctic port. Norway’s Kirkenes port is close to the Russian borders. Finland’s transport minister Anne Berner recently said at a press conference that the railway route would also be linked with the tunnel planned under the Baltic Sea between Finland and Estonia. Finally, a rail line is also being planned, linking, by 2026, the Polish capital Warsaw to the Estonian capital Tallinn. 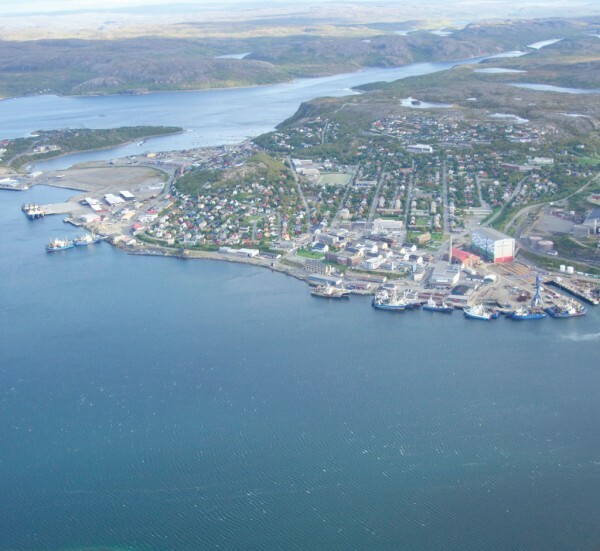 Norway is planning to develop new harbor and terminal facilities near Kirkenes in the country’s northeastern area known as Finnmark. Rune Rafaeisen, the mayor of Sor-Varanger, the municipality in Finnmark, sharing a land border with Russia, recently told journalists that the development of new harbor and terminal facilities, connected with the Belt-and-Road Initiative (BRI) through the Polar sea route to China, fitted well in the country’s harbor development plans. Kirkenes would serve as the first European port of call for cargo traffic from China to Europe. The 520-kilometer-long railway between Rovaniemi (Finland) and Kirkenes (Norway) will be part of the Arctic Corridor which will allow cargo from Asia to be offloaded in Kirkenes and shipped further south by railway to Finland, the Baltics and the rest of Europe. A Norwegian report called “Arctic Railway Vision”, a collaborative work between the development company Sor-Varanger Ufviking, the Kirkenes Business Park and the Finnmark County Council, published in January 2018, says that the Arctic Railway will strive to provide an environment-friendly and faster transport alternative for cargo between Northeast Asia and Northern Europe through Finland by using the Northern Sea Route and developing Kirkenes as a hub port. Another aspect of the Arctic Railway is that it would, together with the planned Rail Baltica Central Europe, connect with the remote parts of Northern Europe via Warsaw, Tallinn, Helsinki and Rovaniemi. As a result, direct rail links will be possible from Germany to the North Polar Sea. Finnish and Norwegian transport ministries stated on March 9, 2018 that the Arctic Railway Route would provide the most realistic railway route from Europe to the Arctic Ocean. The authorities in Lapland are, meanwhile, working on the planning of the Arctic Railway line; the results will be presented in summer 2018. Finland’s transport minister Berner sees the Arctic Railway as an “important European project which would create a closer linkage between North, Arctic and Continental Europe, and thus improve conditions for many industries in the northern region”. The Polar Silk Road project, a collaborative effort between North European countries and China, will require huge amounts of investments and also cargo volumes, with China playing a key role in such calculations. According to Rafaeisen the mayor of Sor-Varanger, Norwegian/Chinese cooperation in logistics and transportation in the Arctic region, will be vital, considering that seven of the world’s top ten container ports are located in China. But the Arctic railway will also need to court global shippers to use the Arctic shipping route which has acquired topicality because of China’s huge volumes, and its plans to use the Northern Sea Route and the Arctic. Because of its growing Baltic and North European traffic, China has also reached out to Fahrhafen Sassnitz, the managing agency of Germany’s Mukran Port, which recently received a delegation from a large Chinese company. Mukran, Germany’s easternmost deep-sea port, is ideally situated for short distance freight traffic to and from Sweden, Denmark, Finland, Russia and the Baltic states. The Chinese delegation discussed with the German hosts a variety of issues, including port infrastructure, the industrial site and cooperation possibilities under the BRI. Mukran Port can play a vital role in developing the trade route between East Asia and West Europe, and become a distribution center for the Baltic Sea region. Harm Sievers, managing director of the Fahrhafen Sassnitz, maintained after the delegation’s visit that both sides were endeavoring to cooperate at various levels in the future. A Memorandum of Understanding was signed between the two sides on logistical cooperation pertaining to the “new Silk Road” and also, possibly, other large industrial projects and port development. The Baltic Port Rail Mukran GmbH, an associate company of Fahrhafen Sassnitz, has been working a long time in the “Group of European TransEurasia Operators and Forwarders” (GETO) on reviving the historic trade route. 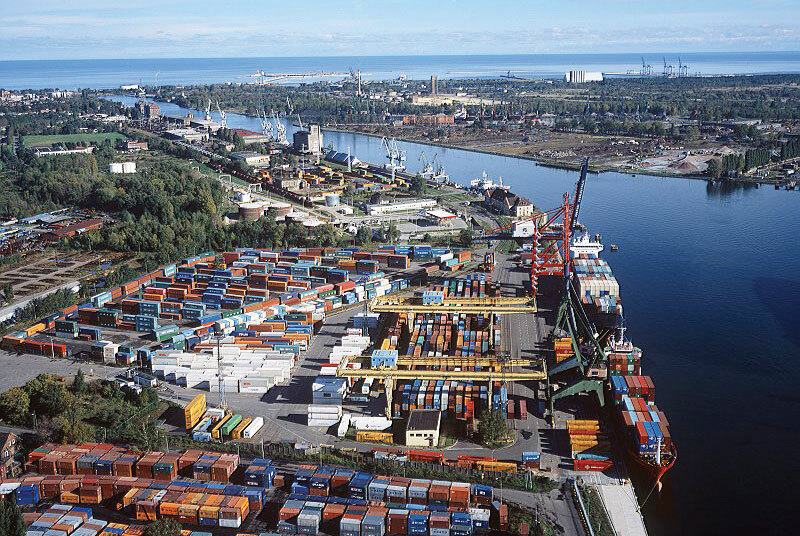 Many East European ports could successfully increase their traffic because of their proximity to the Baltic states, as illustrated by Gdynia and Danzig in Northern Poland, which achieved new records in cargo volumes. Gdynia, whose 2017 tonnage touched 21.1 million, almost nine percent over the 2016 volume, is projected to more than double its capacity in the next decade. Danzig port’s figures were even more impressive; through massive investments and robust growth in volume in recent years, Danzig has become the leading port in the Baltic Sea region. Danzig’s 2017 volume touched 40.6 million tonnes, a nine percent increase over 2016, setting an unprecedented record in Poland’s port volumes. Through massive investments and robust growth in volume in recent years, Danzig has become the leading port in the Baltic Sea region. Both ports are making further investments to bolster their position in the Baltic region. Danzig is constructing a new terminal and an upgraded railway and road connection. But some Baltic states are worried over Russian intentions in Europe. Speakers of parliament in Lithuania, Poland and Lettland have been critical of the proposed Baltic Sea gas pipeline between Germany and Russia. The three have written to their European colleagues criticizing the German-Russian gas pipeline project, particularly Nord-Stream 2, the gas pipeline running from Russia to Europe across the Baltic Sea. They said Nord-Stream 2 was not aimed at making West European companies diversify their gas supply sources; instead, it would further increase the EU’s energy dependency on Russia. Traces of Nimrod found in Pakistan’s Gwadar?